Now there is no need to choose between the toughness and portability of a field controller and the operating power of a laptop—the Trimble® Tablet Rugged PC is the one controller that does it all. The patent-pending dual technology display system enhances sunlight readability for a clear, easy-to read workspace. 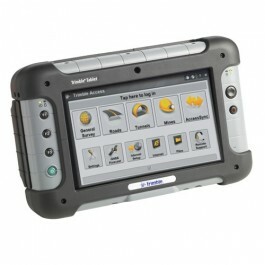 Trimble Access field software available on the Trimble Tablet Rugged PC offers numerous features and capabilities to streamline the flow of everyday surveying work.